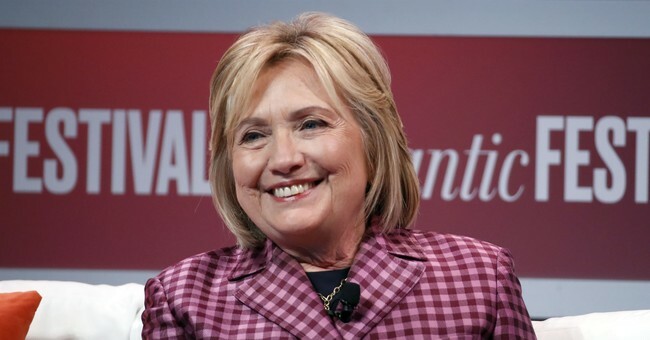 Twice-failed presidential candidate and former first lady Hillary Clinton tweeted out a defense of a topic near to her heart Monday: late-term abortion. Clinton is correct that abortions after 21 weeks make up only 1.3 percent of abortions annually, according to the most recently available 2014 data from the pro-abortion Guttmacher Institute, however, that still comes to just over 12,000 abortions a year. He was referencing the measure that passed last month in New York which permits abortion at “any time” to protect “a patient’s life or health” and removes criminal penalties for abortion. The “life or health” stipulation is a broad and notoriously vague legal term that can be interpreted to even include mental health. "To defend the dignity of every person, I am asking the Congress to pass legislation to prohibit the late-term abortion of children who can feel pain in the mother's womb," he said later in the address. However the article excludes any reference to a contradictory growing body of more recent scientific evidence showing that unborn babies can feel pain at 20 weeks, including a recent NIH-funded study which found that infants delivered at 22-24 weeks who received treatment had increasing rates of survival without any neurological impairment. But aside from pointing out that “late-term abortion” is not technically a medical term and illustrating that abortion after 21 weeks is rare, it points to nothing to contest Trump’s claim. “When they occur, it is usually because the fetus has been found to have a fatal condition that could not be detected earlier, such as a severe malformation of the brain, or because the mother’s life or health is at serious risk,” the author claims without providing any evidence. While the article helpfully points out that the New York law is “similar to stipulations made by the Supreme Court” in allowing abortion past 24 weeks “if the fetus is not considered viable or if the procedure is considered necessary to protect the woman’s life or health,” that does not change the fact that the law does indeed allow an unborn baby to “be ripped from the mother's womb moments from birth,” in these cases as Trump said.